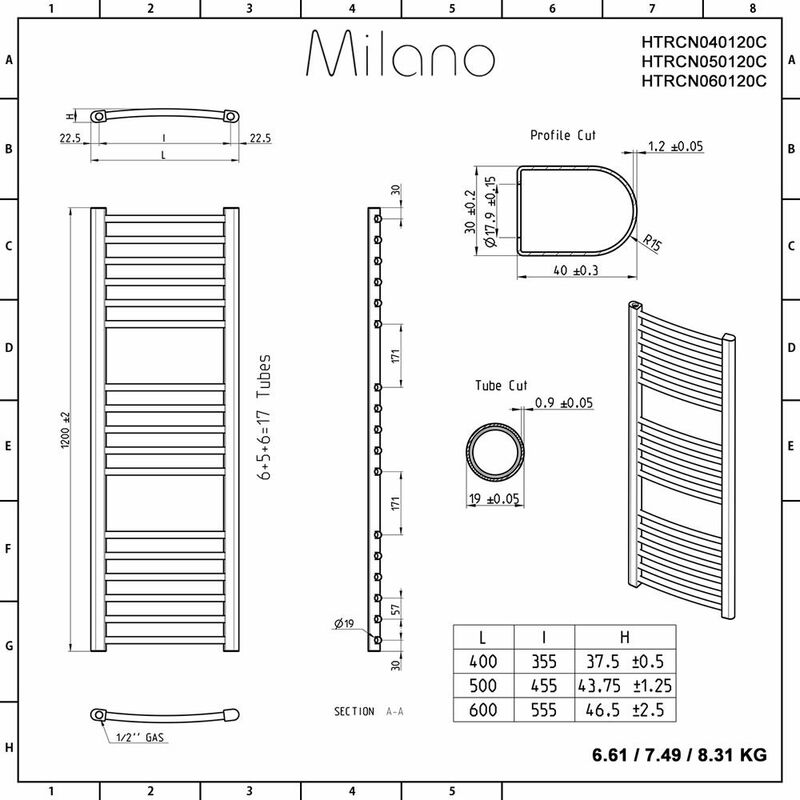 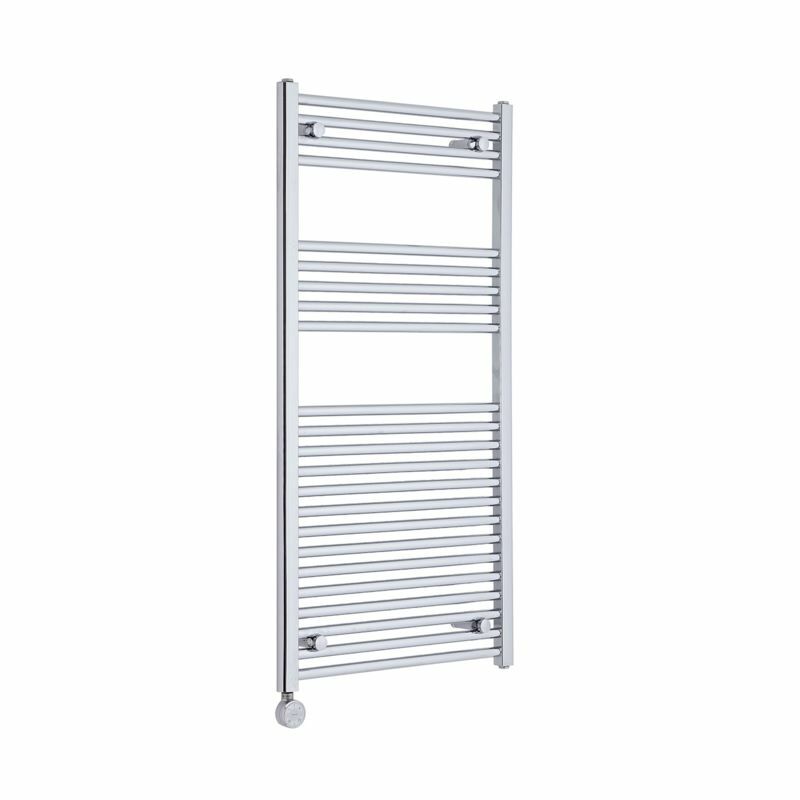 The Milano Ribble 1200mm x 600mm flat electric heated towel rail keeps your towels warm and heats your bathroom at the same time. 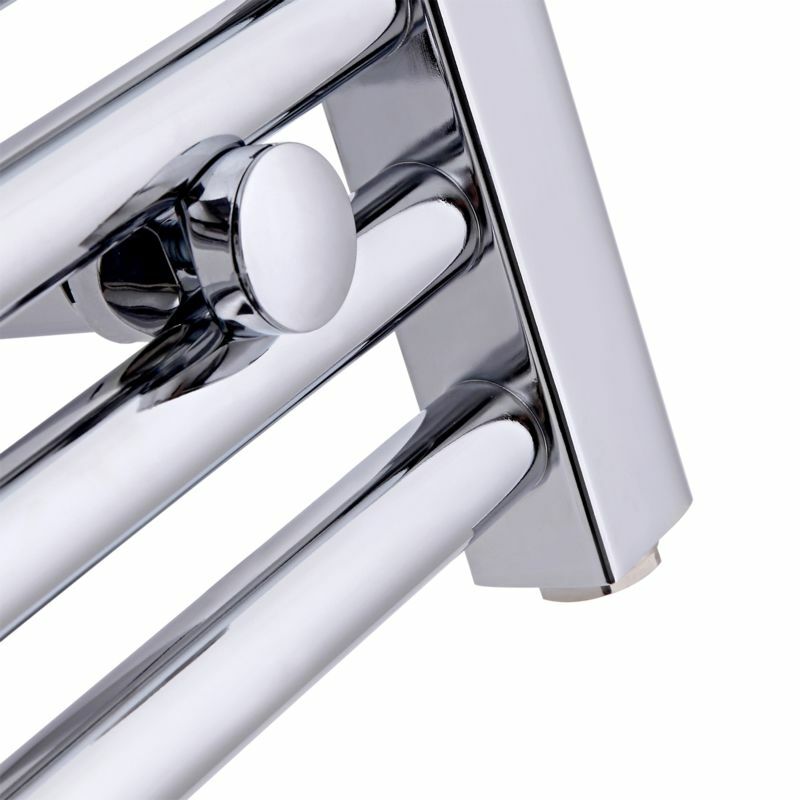 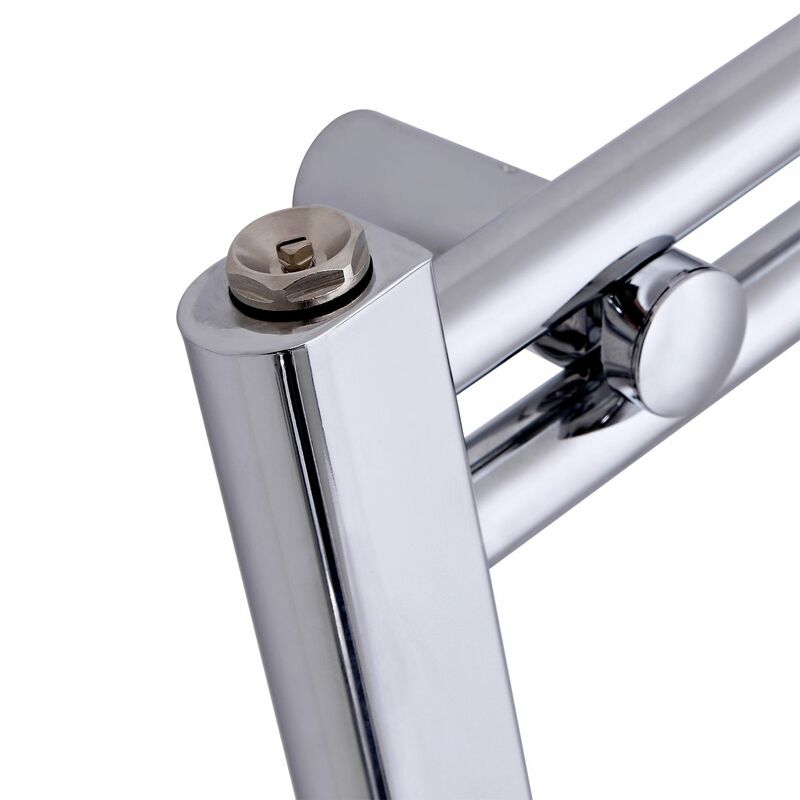 Featuring a chrome finish and a steel construction, the electric towel rail includes a 600W thermostatic heating element. 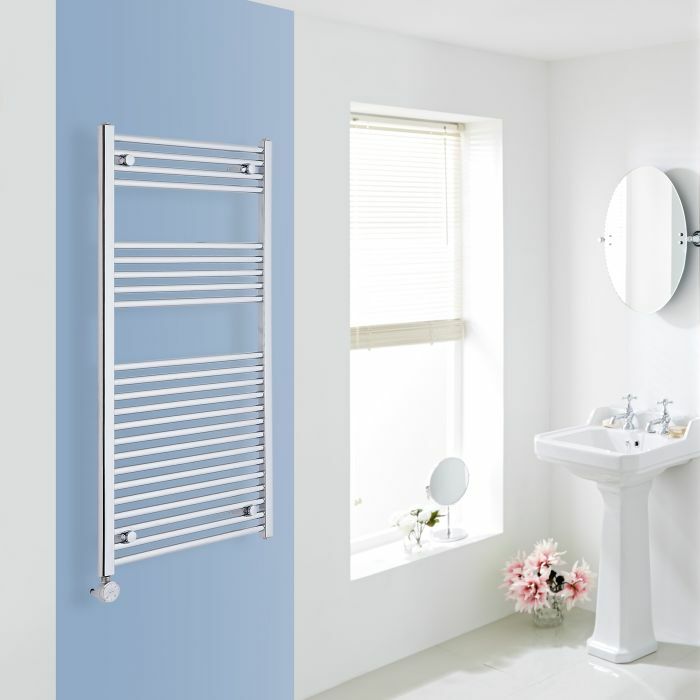 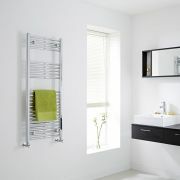 Perfect for smartening up any bathroom, the Ribble electric heated towel rail combines attractive looks with functionality. The electric towel rail is pre-filled with glycol - a water-based heating solution that eliminates noise, rust and limescale. 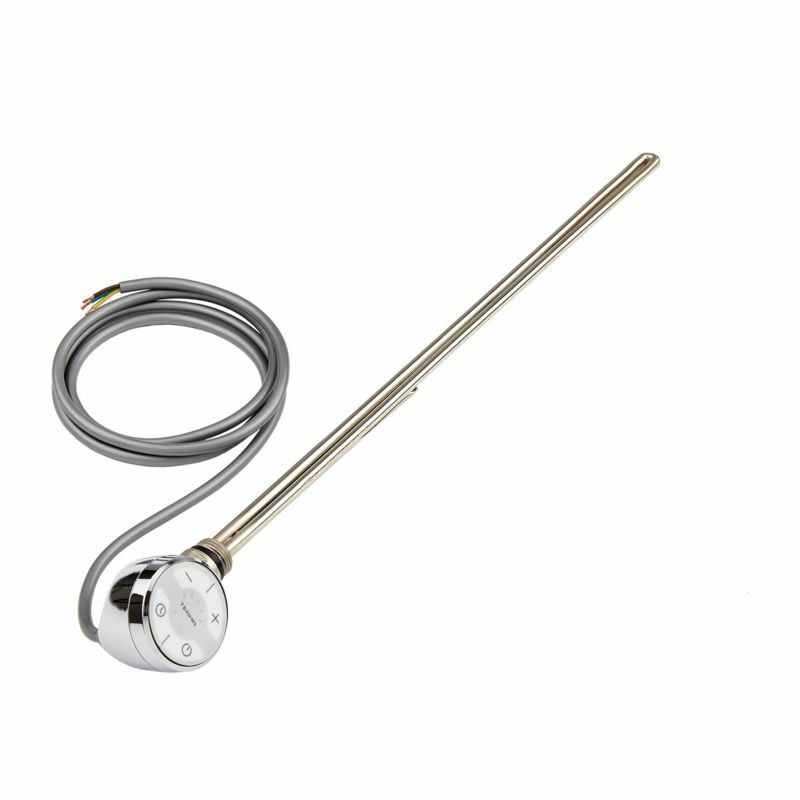 The glycol solution contains anti-freeze and anti-corrosion to ensure maximum performance. 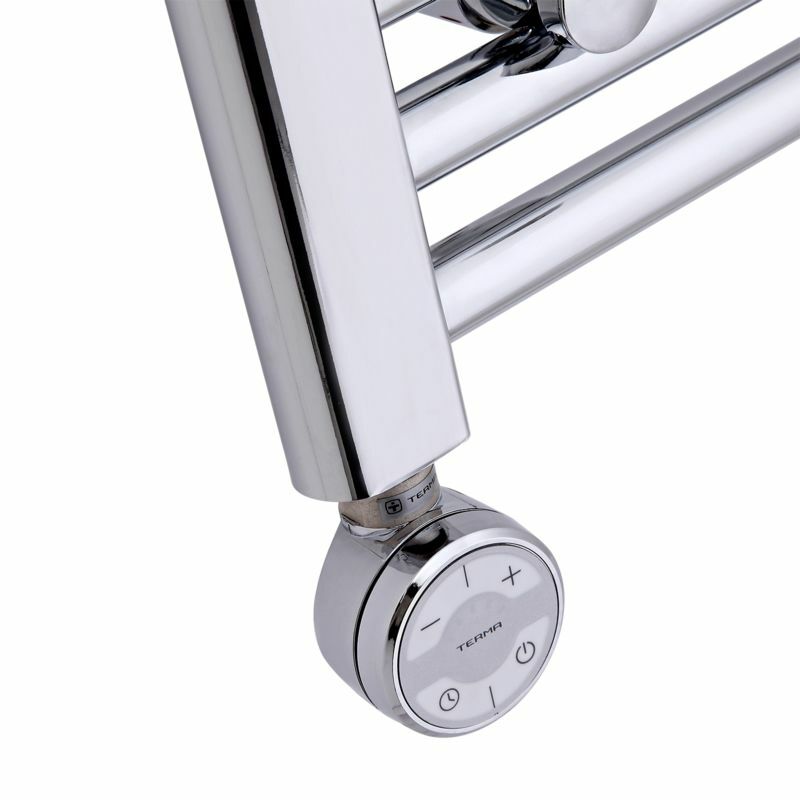 The element features five heat settings, on/off switch, dryer function and a temperature display. 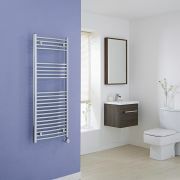 Please note: the heating element will be sent separately from the towel rail. 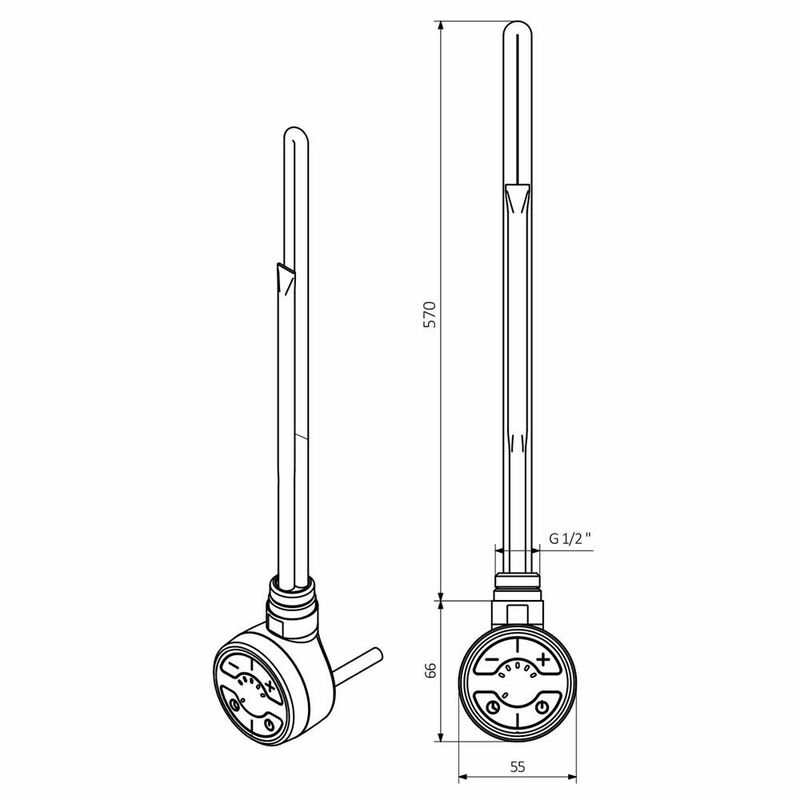 The heated towel rail will have sealing caps upon delivery, but you will need to unscrew one to fit the heating element.